Register Log In AmbergrisCaye.com Home Forums Ambergris Caye San Pedro and Bacalar to be Sister Cities? A letter of intent for a Sister City relationship was signed on Friday, February 13th between the municipalities of San Pedro Town and Bacalar, Quintana Roo, Mexico. 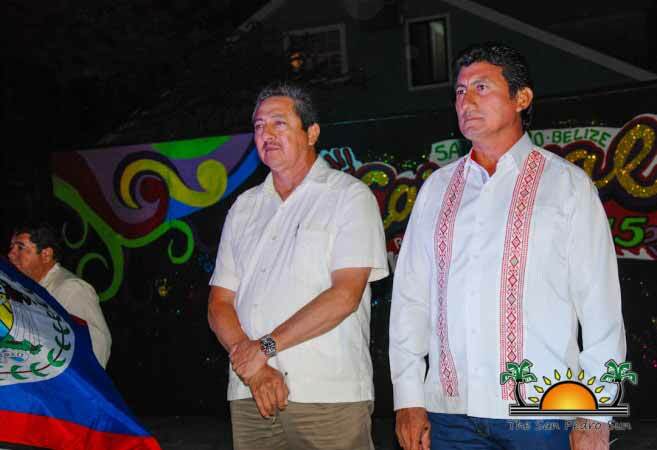 Mayor of San Pedro, Daniel Guerrero and Mayor of Bacalar, José Alfredo Contreras Méndez signed the agreement with plans of solidifying the Sister City relationship in the coming months. The agreement is aimed to foster a relationship among the two communities through cultural, economic, medical, educational, recreational and humanitarian activities. “We have invited the Mayor and the Councilors of Bacalar to visit our island. During this visit we signed the intent for a Sister City relationship. This is very important so that our two municipalities can reap benefits from education, sports, culture, history, traditions, technology and everything else that can lead to the continued development of both San Pedro and Bacalar. San Pedro shares so much in common with our Mexican counterparts. They have always extended a hand to us in times of need, and we will do the same when they need. We are here together as one community,” said Mayor Guerrero.